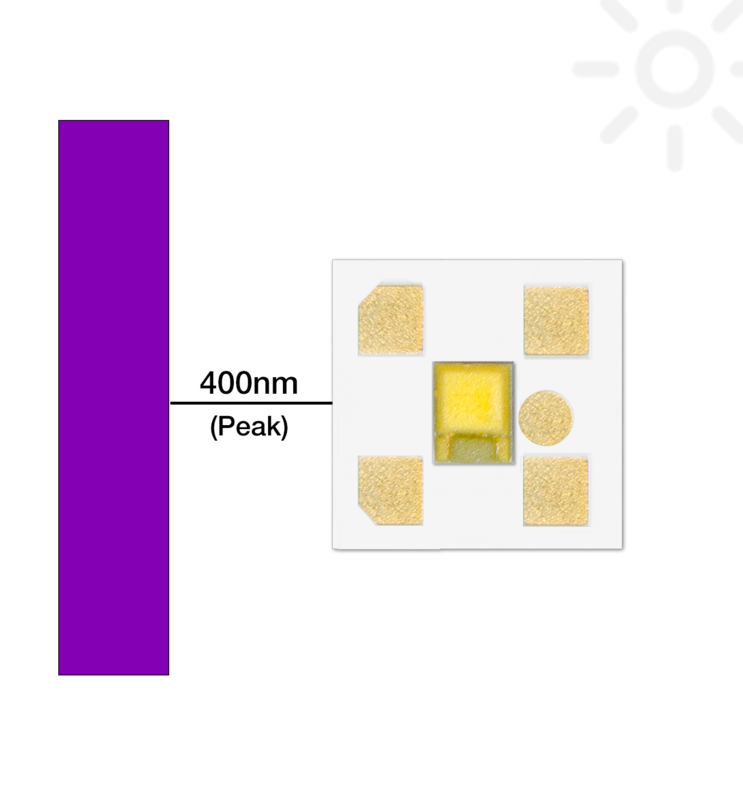 The SM-01-S2 Micro-Z1 LED module features a single LHUV-0400-0450 Ultraviolet LUXEON Z LED soldered to a thermally efficient, 5mm (0.2?) 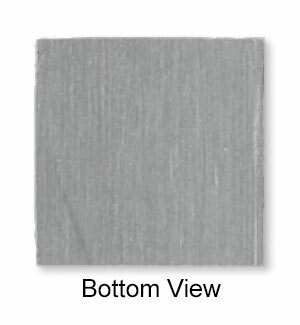 square, 0.8mm (0.032") thick MCPCB aluminum base with temperature test point. Use of this module requires careful attention to mounting and cooling to ensure that the junction temperature of the LED is kept well below the maximum rating as specified in the LED documentation published by Lumileds. The SM-01 is compatible with any optic that has been certified for use with the LUXEON Z series of LEDs. There are no optic alignment holes or notches, so the designer will need to ensure that the LED is correctly aligned under the secondary optic. 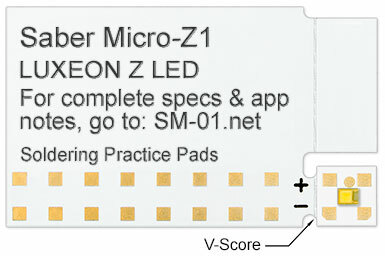 The Saber Micro-Z1 is provided as part of a Carrier Tab. The tab is v-scored so that the LED module can be easily separated from the carrier. 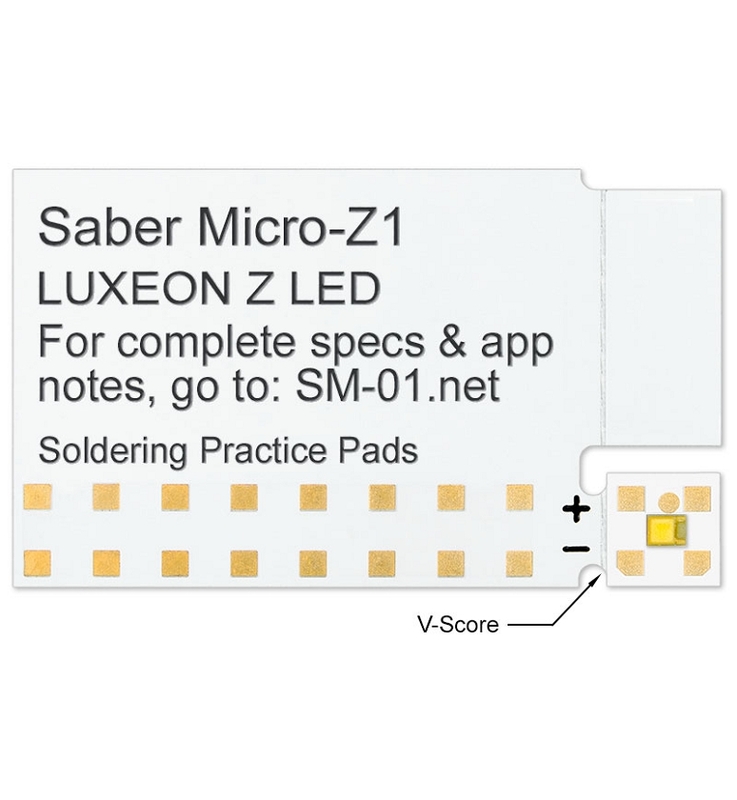 The carrier tab also includes 16 soldering practice pads where you can refine your small part soldering skills before you solder leads to the Micro-Z1 module.